During a family vacation in and around Times Square, it was hard not to think about all who make their livelihood on the stage. 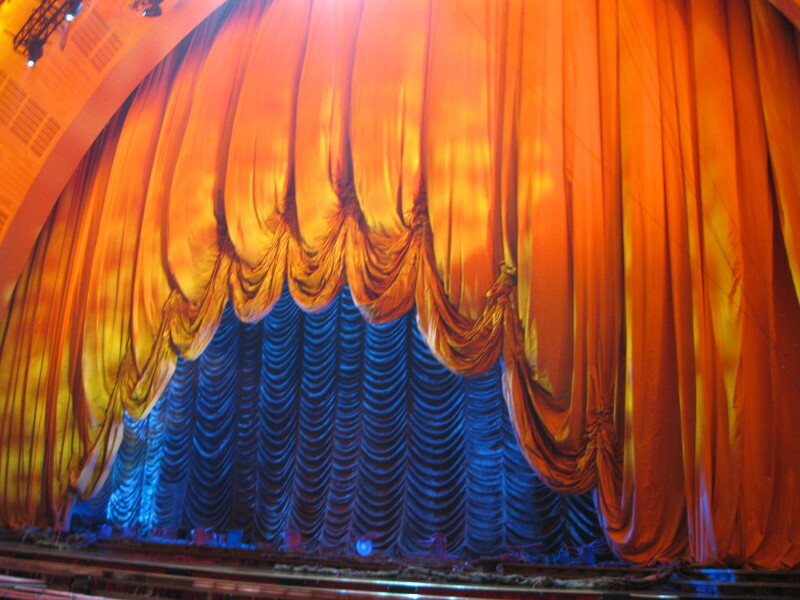 While we enjoy the lights and hear the applause, it’s still hard work for the actors every time the curtain goes up. Finding your next act is hard work, too, yet so many of us are doing it today. Sometimes we need to, when our companies or industries change. Sometimes we just want to, longing for work that better matches our values or talents. Whether it’s a new career, role, or location, it might be time for your next act. So with apologies to the theatrical professionals in our midst, here are four ways you can get ready for the next act in your work or life. Maybe you think your next act is to move to a new profession. Or maybe it’s just transitioning to a fresh project team within your company. No matter what the possible change, it’s time go backstage. Going backstage and exploring how things really work is a great way to help yourself understand whether the “stage” you’re considering is the right one for you–or not! I’ve heard so many people assume they know what a certain career or industry is like. But when they take a closer look, they often come up with different ideas. For example, my client Angie, a PR professional, initially claimed, “I could never work in healthcare–I’d need more medical education than I have to be successful.” But after encouraging her to “go backstage” and talk to others in the field, she found her assumptions were wrong. Those in her dream job didn’t have more education, but instead built relationships with experts and other sources who did. Even more importantly, she found her unique strategic skills were actually in demand. Don’t assume you know what it’s like backstage–you never know what you might find! No, this isn’t permission to deceive and lie! In performance arts, “cheating” means turning your body more toward the audience, while still looking at the other actors alongside you. It helps the audience connect. What meetings should you attend–or contribute more actively to? How could you be sharing your ideas more broadly–start a blog or comment on others? Share valuable links on LinkedIn, Facebook, or Twitter? What trade or professional organizations will expose you to others you’d like to work with–or be like? Who could you invite to lunch, or a coffee, or a Skype chat? When you give yourself an intermission, you give yourself the opportunity to absorb and internalize all you’ve done so far. And in that break–and absent the pressure you’ve been applying–you may find the discovery that’s been eluding you the most. Staying positive and knowing the next act is coming–even when the intermission seems long. Hold up your own applause sign, and you’ll find yourself closer than ever to the next act. What’s your next act? How are you getting ready for it? Tell us by leaving a reply below, visiting us on Facebook, or just emailing here!